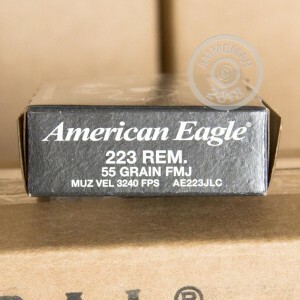 You can't go wrong with this .223 Remington ammo, which is made by the same company (Federal Premium Ammunition) that fulfills the US military's ammo needs. These cartridges closely resemble M193 ball used for military training. In keeping with M193 specs, each round in this box of 20 fires a 55 grain boat-tailed full metal jacket bullet at about 3,240 feet per second. 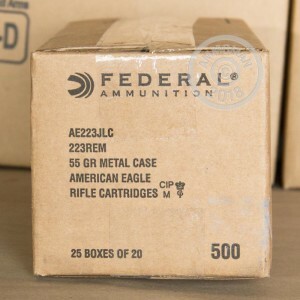 Like other Federal ammo, these cartridges use non-corrosive Boxer primers and brass cases. 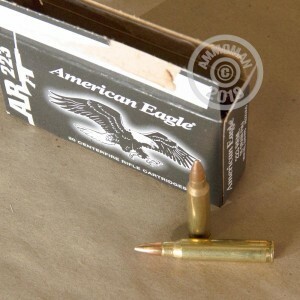 You'll need more than 20 rounds for a decent range session, so stock up at AmmoMan.com today! Remember, all orders over $99 come with free shipping!